Ground Up Design is a landscape design team made up of two brothers, Ira and Nathaniel Stevens. We work throughout San Diego County, with expertise in Southern-California plants, low-water landscapes, lawn replacement, and crafting unique and functional outdoor space. We strive to create beautiful landscapes that go far beyond the standard San Diego palette. 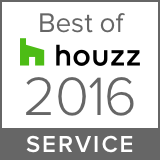 Visit us on Houzz, Facebook, or contact us today!